In 1955, Mr. Yeoh Teik Beng invested his fortune in manufacturing of round shape soy bean skin, Chai Tan (i.e. Soya Egg) and tofu products. Later, he invested in manufacturing soy bean related vegetarian food products such as Chai Gor, Vegetarian Salted Fish, Vegetarian Drumstick etc. His famous Chai Gor is so delicious that until today it is still the best selling product in the market. The increasing awareness of health benefits in going vegetarian has seen tremendous growth in the demand for vegetarian food all over the world. Recent scares in animal transmitted diseases such as mad cow disease, chicken flu and SARS, as well as the rising occurrence of high blood pressure and obesity among general public, have triggered many people into choosing the healthier vegetarian diet. 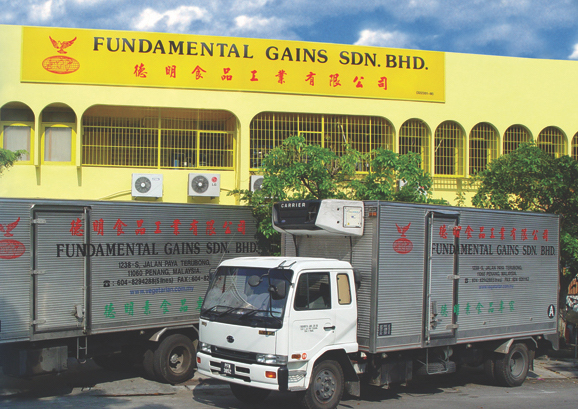 Today, his sons have incorporated Fundamental Gains Sdn Bhd to cater for the increase in demand for vegetarian food. 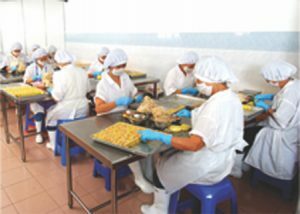 The company has produced more than 100 types of vegetarian food products with 6 major ingredients such as gluten, yam, mushroom, soy bean, konnyaku and textured soy protein. The company believes in producing natural vegetarian food products by not adding whitening agents and preservatives to its manufactured products and to use brown sugar when possible to replace white sugar to ensure a more healthier choice for its customers. Furthermore, the company has also modified most of its products by not adding MSG. 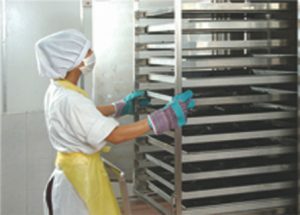 In 2005, Fundamental Gains Sdn Bhd has obtained HACCP System certification for the production of vegetarian food products. In the following year of 2006, we have also obtained ISO9001 and ISO22000 certification. This is consistent with the company policy to produce hygienic and safe vegetarian food for its consumers. Furthermore, all our products are ‘HALAL’ certified. Today, the company has successfully exported its products to Singapore, Australia, Taiwan, Thailand, Indonesia, Brunei, France, England, India and United State of America. It is in the midst of further exploring potential market all over the world. 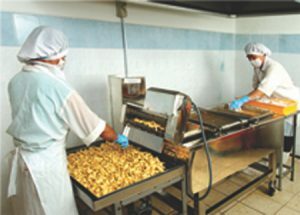 Our policy is Total customer satisfaction through High Quality, Hygiene & Safe food products.